“The sun god (Ra – Egyptians, Helios – Greeks, Mithras – Persians, Apollo – Romans, Huitzilopochtli – Inca) takes charge every day,” said Harriett’s great, great, great, great, great… grandfather. Harriett knows because of her epigenetic memory. “I also put over 100,000 million stars in this little galaxy (Milky Way) and about one fourth are similar to the sun. BTW, I’ve also created over 1 billion galaxies. And that is just in the observable universe of H. sapians. The parts of the universe H. sapians have yet to see hold some nice surprises. 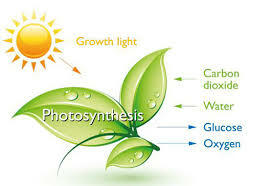 Energy from the Sun powers all life on Earth. It comes as electromagnetic radiation. The energy comes in the right amount, shape and form; not too many X-rays, radio waves, IR or UV waves. Visible light is just right. “I like visible light,” said Harriett. The atmosphere takes out most of the harmful radiation before it reaches the ground. The ozone layer in the lower stratosphere is especially important in protecting living things from UV exposure. “I put the atmosphere there too,” teased Triple O. Plants (marsh grass) use this energy to make plant matter by photosynthesis. The plant matter (marsh grass) dies in the winter and the food chain begins.